Kayla Seigler has been working for the Prime Pest Solutions team since July 2013. Kayla works out of our Griffin office and is in charge of scheduling services for our technicians, handling accounts, and answering customer questions. Kayla has been a part of the Griffin community her entire life. She and her husband, Kyle welcomed their first child, Madelyn into the world in October 2018. Kayla enjoys running, boxing, reading, watching movies, and cooking up delicious and healthy meals for her family. Her favorite time of the year is summer, and she looks forward to vacations on the beach. Kayla looks forward to continuing her career at Prime Pest Solutions and the many opportunities that come from working for a family business. 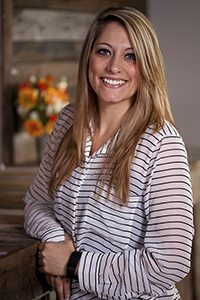 You can contact Kayla by email at Kayla@primepest.net or by calling the Griffin office at (770)227-5161.